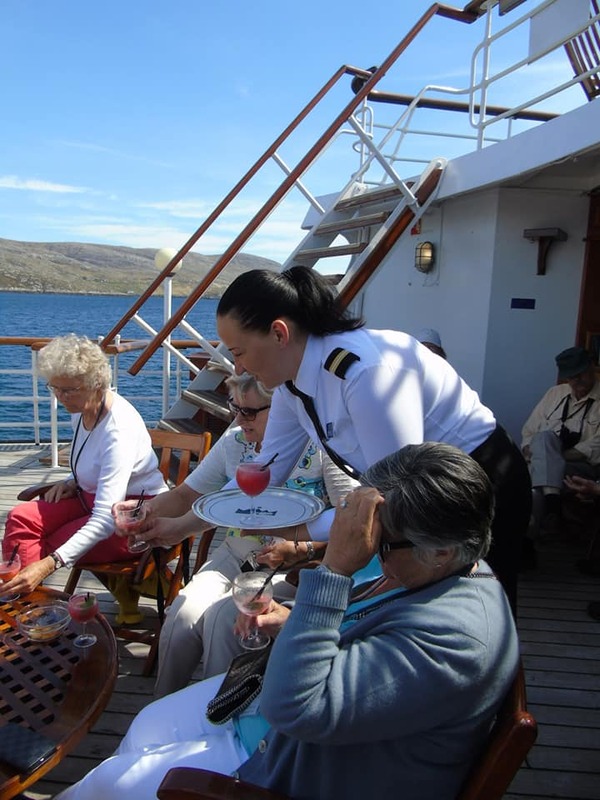 First operated in 1989, we are replicating this delightful cruise in celebration of our 30th anniversary season with visits to six different islands, a passage to the Outer Hebrides and a visit to the famous garden at Inverewe. Departing from Oban, we set sail through the Sound of Mull on passage to our overnight anchorage in Tobermory Bay. Going ashore on the island capital of Mull, guests enjoyed a stretch of legs to the local lighthouse or explored the colourful Georgian town of Tobermory independently. During lunch we steamed to the Small Isle of Eigg for afternoon walks ashore. We anchored overnight in Loch Scresort, Rum. This morning guests were tendered ashore on the Isle of Rum for a tour of Kinloch Castle, the imposing Edwardian folly built by the Lancastrian industrialist George Bullough. Sailing to Skye over lunch we berthed alongside in Armadale for an afternoon visit to Armadale Castle and the Clan Donald Centre before steaming through the Sound of Sleat to Kyle of Lochalsh where we remained alongside overnight. Our first visit of the day was the most photographed castle in Britain, Eilean Donan situated on an island where three lochs meet. Following lunch on board guests enjoyed afternoon walks ashore in the pretty conservation village of Plockton. 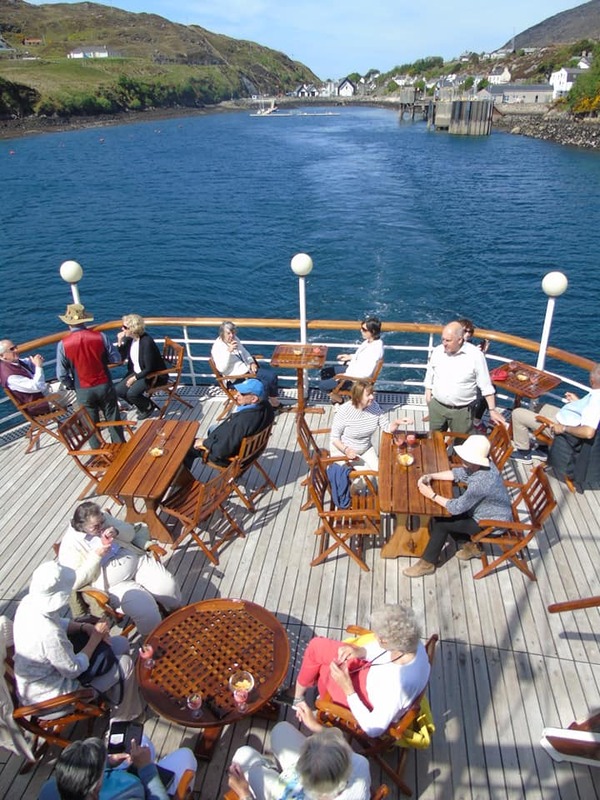 It was a gorgeous morning on the Isle of Skye for our visit to Portree and guests enjoyed cocktails on the Skye Deck as we set sail for Gairloch. Cruising northwards over lunch we arrived at Gairloch to explore the sub-tropical oasis of Inverewe Garden. Our morning call was East Loch Tarbert on the Isle of Harris where guests enjoyed an island tour which included Rodel Church and the stunning beach. 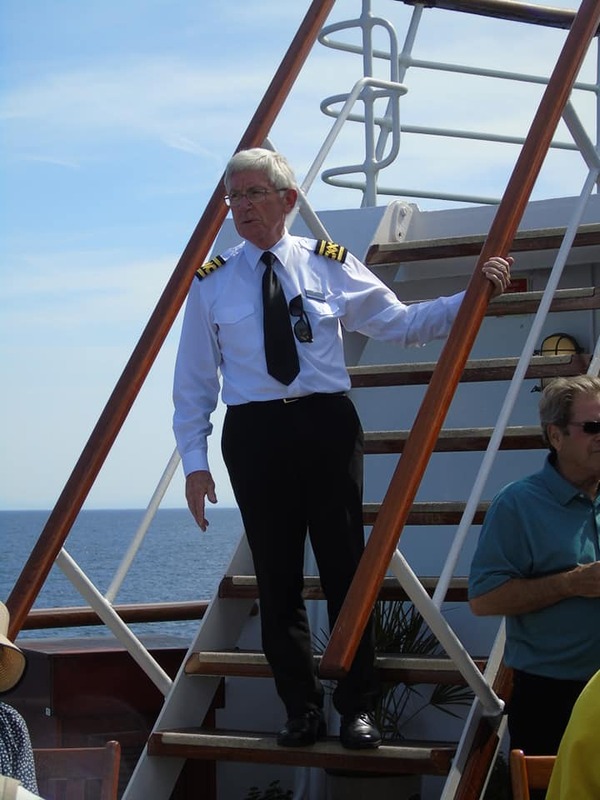 As the ship sailed from East Loch Tarbert at lunchtime, Captain Dave Kirkwood proposed a toast to Hebridean Princess as we celebrated the 30th anniversary of her maiden cruise in 1989. 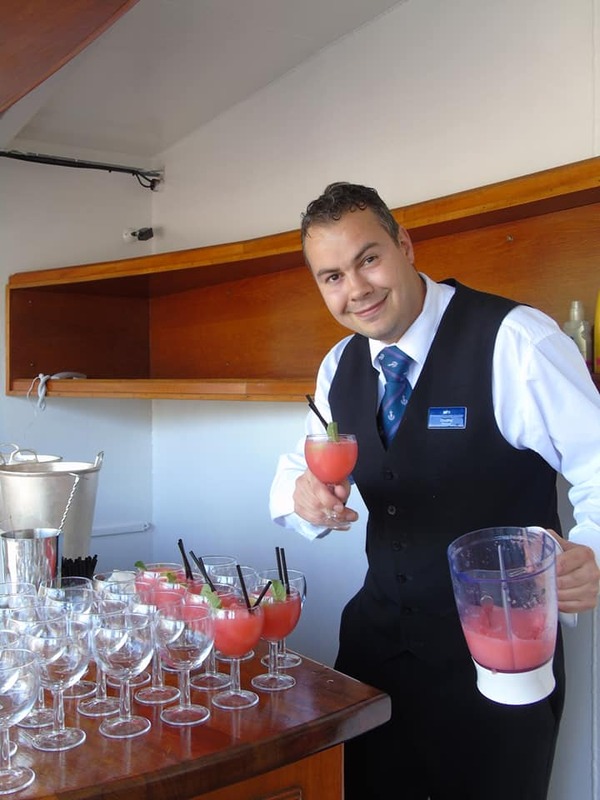 Guests enjoyed cocktails on the Skye Deck as we cruised the North Minch. In the afternoon we visited the oldest continually inhabited castle in Scotland, Dunvegan where local boat tours to view the local seal colony were also available. We anchored overnight at Loch Bracadale, West of Skye. Our tenders shuttled guests ashore this morning on the Small Isle of Canna to explore on foot and experience the peace and solitude of this sparsely populated isle. 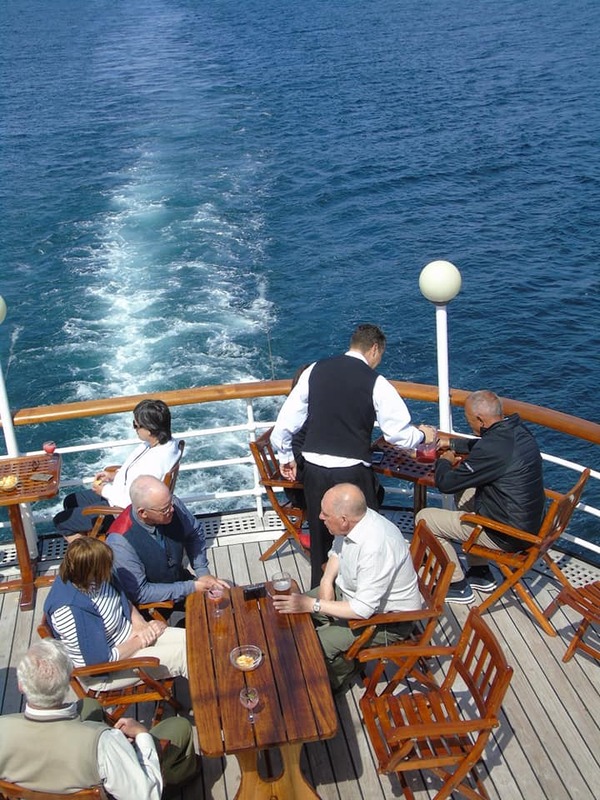 As lunch was served in the Columba Restaurant we cruised to our final port of call, the neighbouring Isle of Muck for afternoon strolls and refreshments. The Farewell Gala Dinner was held at anchor off Java Point, Craignure. 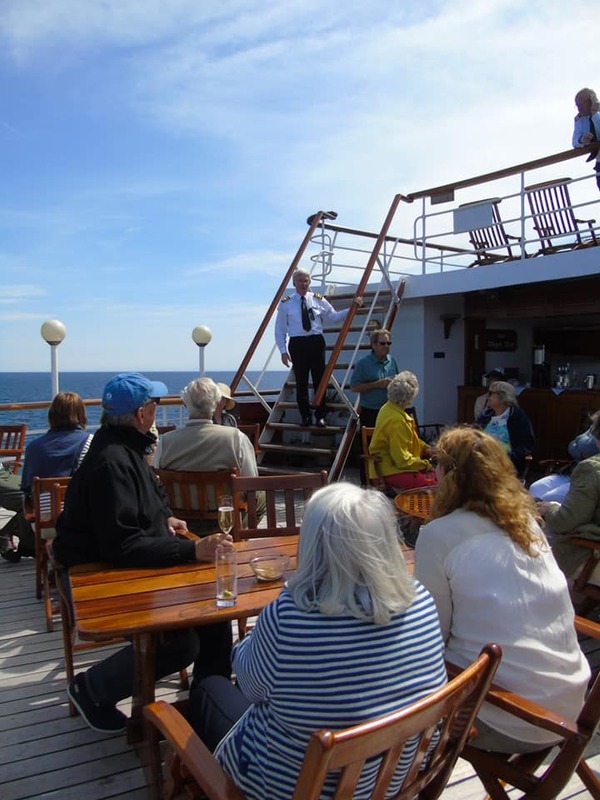 After a wonderful cruise under blue skies, celebrating the 30th anniversary season of Hebridean Princess, guests disembarked in Oban to reflect on their voyage as they travelled home.